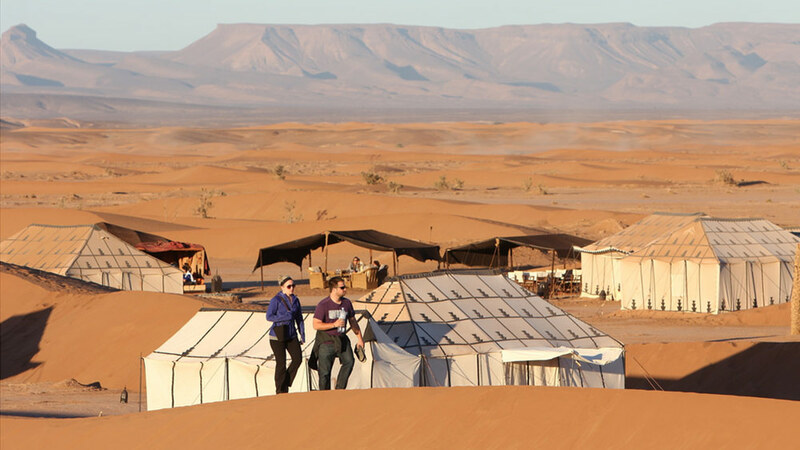 The private tour from Casablanca to Marrakech to visit Fez , Atlas mountains , we enjoy camel ride in Merrzouga desert, we visit Erfoud, Dades ,Unesco kasbah of Ait Benhaddou and Marrakech. Breakfast, Tour of Rabat, visiting of the Mechouar – ramparts and defensive walls around the Royal Palace, Oudaya Kasbah – the Hassan Tower and the Mohamed’s V Mausoleum. Departure to Fez via Meknes. Visit of Meknes – The Medina, the tomb and the barns and stables of Moulay Ismail Moulay Ismail Mausoleum, the Bab Mansour el Aleuj – the largest and most remarkable gate in Meknes. Road to Fez via Volubilis. Visit Volubilis – Roman ruins before returning to Fez. Check in at the hotel. Dinner and overnight. Breakfast. Road to Sahara via the Atlas mountains. Stoping to discover the small Berber villages and the city of Ifrane. Dinner. Overnight not far from Erfoud oasis in the real scenery of the desert. Before breakfast if you want we can (extra payment) admire the sunrise with a caravan of camels (or 4WD) –Back to the hotel for breakfast. 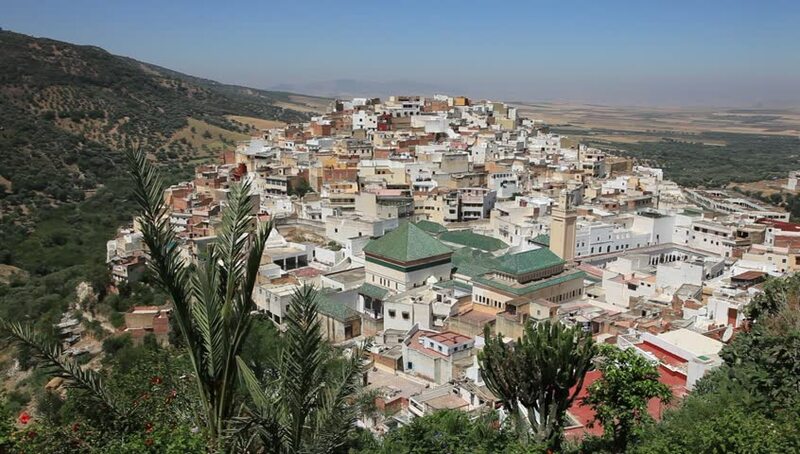 After breakfast – drive to Rissani – visit of a kasbah of the 17th century and the ruins of Ksar Abbar, the medina. Road to Ouarzazate. Stoping to visit the kasbah Taourirt. 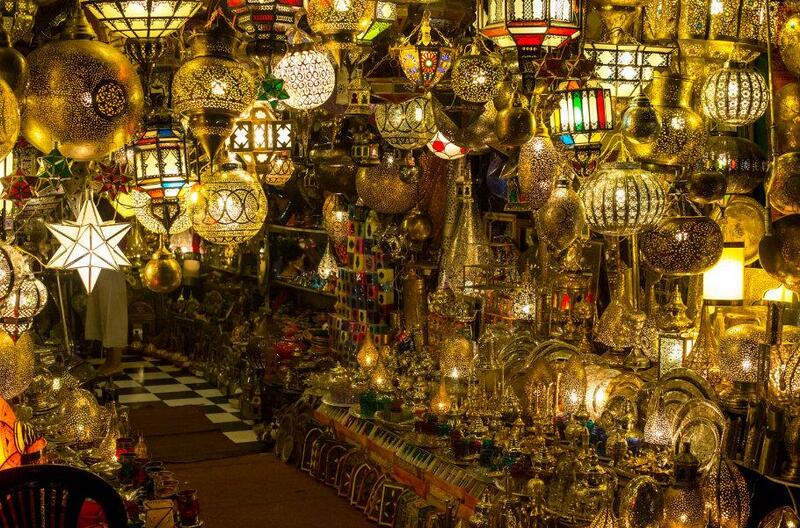 Arrival in Ouarzazate – the filmcenter of Morocco. Visit the Kasbah. Overnight at hotel. Breakfast. Drive to Marrakech, along the”road of the 1000 ”Kasbahs. Visit of the kasbah Ait Ben Haddou. Arrival in Marrakech. Check in at the hotel. Dinner and overnight. Breakfast. Visit of Marrakech – the Menara gardens, the Saadien Tombs, the Bahia Palace, the Koutoubia minaret and the Jemaa el Fna square. If you want you can visit the Fantasia show. Overnight at hotel. Breakfast. drive to Casablanca. Check in at the hotel. Time at leisure. Dinner and overnight at the hotel. Breakfast. Visit Casablanca – Hassan II Mosque, the Medina, the Habbous quarter, the Mohammed V square, Anfa residence, La Corniche – the touristic part of town. Dinner in a local restaurant. Transfer to the hotel. According to flight schedules, airport transfer and flight. End of guided desert tour. 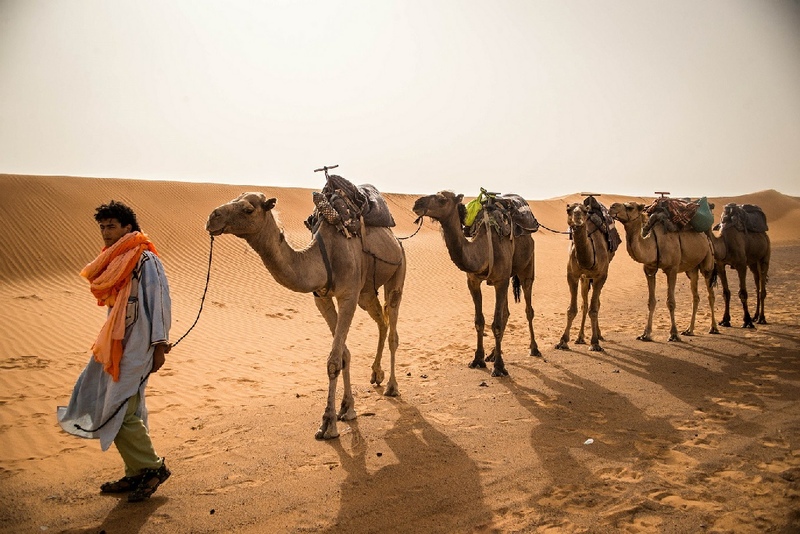 Ourass Travels Morocco.